Paramount introduces XLPE for added advantage over PVC. Light weight , Flexible, Good chemical resistance & moisture. 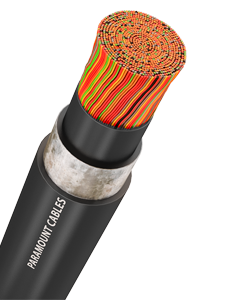 Single star quad, copper jelly filled cables for subscriber connections, suitable for underground laying. Cables for internal exchange installations, connection between selector racks, distribution frames etc. 1100 Volt Grade, are used for distributing power to individual consumers by utility service providers such as electricity boards and electricity distributing authorities. The cables are suspended overhead using electrical poles. The cables can be tapped intermittently from any required position, enabling them to be used in urban as well as rural areas. Single Phase or Three Phase systems with or without Street Light line. Messenger conductor: Aluminum Magnesium and Silica Alloy. Ridges provided on the insulation of Phase Conductors: 1 ridge for the 1st phase, 2 ridges for the 2nd phase and 3 ridges for the 3rd phase. The Neutral phase may have 4 ridges if required. 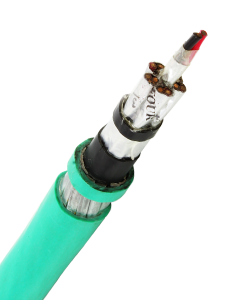 As the cable remains exposed to environmental elements such as UV rays from sunlight, the insulation is mixed with a small amount of carbon black to prevent the deterioration of polythene. The phase conductor can be of single phase or three phases. A lighting conductor can be also incorporated for street lighting. A messenger conductor supports the weight of the cable and keeps the assembly strung under tension. Phase conductors are made of concentrically stranded Aluminum Wires having 7 or 19 wires. Messenger conductors are made of Aluminum Alloy having 7 or 19 wires. Phase and lighting conductors may be insulated with XLPE compound of Sioplas Technology. Messenger conductors are kept either bare or insulated. Phase and lighting conductors are twisted around the messenger conductor. In special cases a neutral conductor may also be provided separately. Generally, the messenger acts as earth and neutral. 11 KV & 33 KV Aerial Bunched cables are used for power distribution in cities where ground space is constrained. Size ranges from 35 Sq mm to 400 Sq mm. 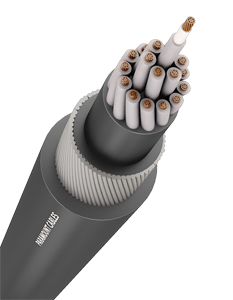 Three phase cables constitute of three single core screened cables. These phase cable twist around an Aluminum Alloy messenger conductor which carries the full load of the cable when mounted on poles. The size of the messenger conductor is designed based on the weight of the cable over a span of poles. Screened by an extruded semi conducting layer - XLPE Insulated. Screened again by an extruded semi conducting layer and a copper tape. Ridges 1, 2 and 3. Overall sheathed with PVC/ Polyethylene. Multi-core cables > 630 sq mm. PVC or XLPE, Heat Resistant PVC are also available. Black PVC or any colour as per customer’s requirement. 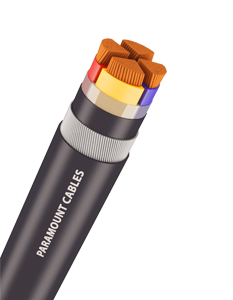 Paramount specializes in manufacturing XLPE cables ranging from 3300 volts to 33000 volts with sizes upto 1000 sq mm. Cross-linked Polyethylene Insulated Electric or XLPE Power Cables possesses excellent electrical, mechanical and heat-resistant properties. It has an advantage over PVC insulated cables because of its easy maintenance. 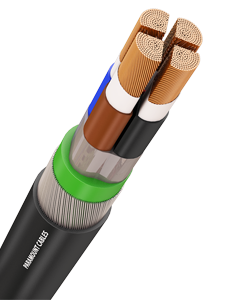 Due to the invention of advanced XLPE insulation, EHV cables are also available today. 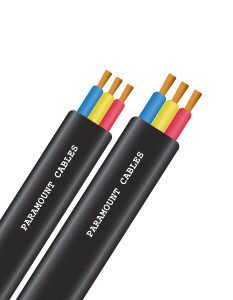 Paramount XLPE cables are manufactured and tested in accordance with IS: 7098 (Part II) and other international standards. Multi core cables are installed singly. Single core cables are laid in trefoil formation. Jelly Filled Polythene Insulated Jelly Filled cables (PIJF) are used as feeder and distribution cables for connection between exchanges and subscribers. 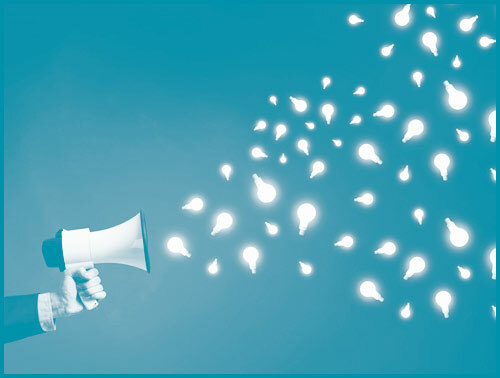 Paramount has attained quantitative growth in the Telecom Sector by servicing market leaders such as Bharat Sanchar Nigam Ltd, Mahanagar Telephone Nigam Ltd. and large private sector players including Bharti Airtel and Reliance Telecom. Paramount offers a complete range of high quality Telecommunication Cables, including Optical Fibre Cables for telecommunications, Direct to Home Optical Fibre Cables for cable TV, Polythene Insulated Jelly Filled Cables and Aerial Self Supporting Cables for subscriber distribution networks, Installation Cables for Digital Exchanges, Co-axial Cables for signal distribution, MATV, Data Transmission Cables, Computer Cables and PCM cables, amongst others. Jelly Filled Polythene Insulated Jelly Filled cables (PIJF) also known as Jelly Filled Telephone Cables (JFTC) are used as feeder and distribution cables for connection between exchanges and subscribers. The range offered is single pair upto 4800 pairs. These cables can be laid in ducts or directly buried. Our Jelly Filled Cables conform to standard specifications such as DOT specification no. GICUG-01102 February 1996, BS 3573, IEC708-1, CW 1128A, IRS-TCI41 . Type approved by Department of Telecommunications, Government of India. Solid annealed, bare copper wire of 0.4, 0.5, 0.63 or 0.9mm. Other sizes on order . Solid MDPE or HDPE, fully colour coded. Foam skin insulation as per requirement. In units of 10 or 20 pairs upto 100 pairs. For cables having more than 100 pairs, 5 units of 10 pairs and 20 pairs are laid up to constitute super units of 50 and 100 pairs respectively. One or more helical longitudinal paper or plastic tape. Barrier and Screen Double side plastic coated aluminium tape laid longitudinally with smooth, nominal thickness of 0.20mm. Minimum overlap 6mm, bonded to the inner surface of the polythene sheath. If required, solid tinned copper 0.5 mm. If required 2 Steel tapes of 0.5mm or 0.8mm thickness helically laid with a maximum gap of 35%. 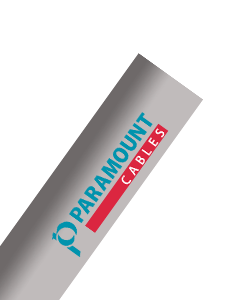 Paramount offers a wide range of Optical Fibre Cables (Single mode and Multi mode) including Armoured Aerial, Un-armoured, All Dielectric Self Supporting Optical Fibre Cables and Optical Fibre Direct to Home Cables. 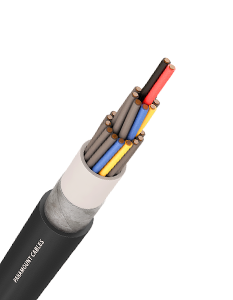 Cables manufactured conform to IEC-794, ITU-T, TC-55-2000 specifications and are type approved by the Department of Telecommunications, Government of India. Unitube, Multitube, Tight Buffer Ribbon Type. Single mode, Multi mode, primary coated with double UV cured acrylate. Non metallic (solid FRP Aramid yarn Glass yarn) and metallic (solid steel wire). Water resistant filling compound Water Blocking Material Water blocking powder tape, if required. If required, corrugated steel tape of 0.125 mm thickness coated with copolymer 0.05 mm thickness, longitudinally laid with minimum overlap of 10%. 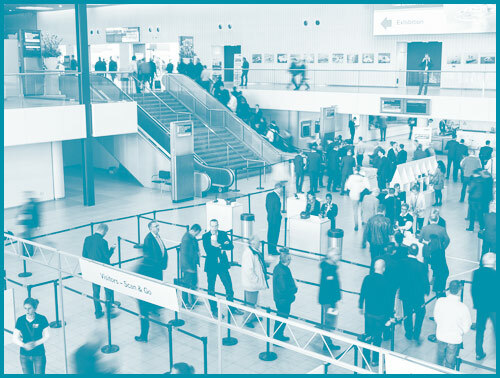 As a result of persistent technical research, we have developed a comprehensive design capability based on sound engineering practices to help meet the technical requirements of our customers. Paramount has the distinction of being the largest supplier of specialized cables to the Indian Railways. As a result of persistent technical research, we have developed a comprehensive design capability based on sound engineering practices to help meet the technical requirements of our customers. We take pride in having developed and designed wide varieties of cables to various global specifications of our customers. Paramount was the first cable company in India to have developed 4 Quad Axle Counter Cables, a very advanced innovation, for the Indian Railways. In view of the stringent usage and safety requirements, these cables have extremely low capacitance unbalance and reduction factor values. These cables are intended for use in fixed installations in high occupancy buildings like airport, railways etc and strategically sensitive buildings like defense establishments, industrial areas etc. Paramount FireSecure and FireSecure Punch Cables are the most technologically advanced fire survival- FS Cables in the world which provide critical additional protection in the event of a fire. These cables are intended for use in fixed installations in high occupancy buildings like airport, railways etc and strategically sensitive buildings like defense establishments, industrial areas etc. aid up and lapped with binder having HCL level less than 0.5 % by weight. Extruded layer of Halogen Free Low Smoke polymeric material. India's leading cable manufacturer, Paramount, manufacturing full range of long lasting building wires in the Indian consumer market. Our wires are made to last a lifetime. No wonder they come with an unparalleled no tension warranty of 20 years*. At Paramount, we lay the greatest emphasis on manufacturing excellence, technological advancement and customer satisfaction. Paramount wires go through rigorous tests to ensure highest standards of quality and a long life. Be it safety, quality, price or energy savings, Paramount Cables' building wires tick all the right boxes; giving you the most trustworthy and high quality wires available in the market today. Paramount also introduces XLPE for added advantage over PVC. Cross linked Poly Ethylene used instead of PVC. Light weight , Flexible, Good chemical resistance & moisture. PVC 3-Core Flat wires are insulated with a special grade of PVC compound. Offered in different power capacities and lengths, these wires are widely used in domestic submersible water pumps and irrigation pumps. High quality, highly durable, 3 core at PVC insulated cables. The PVC insulated cores that use 99.97% pure bright electrolyte grade copper conductors come with high insulation resistance & dielectric strength. 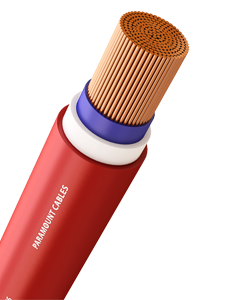 Paramount Multicore Flexible Cables have a wide range of applications in machine tools, appliances, control panels, machinery & industries of every nature. The inner cores are coded for ease of identification as per national/international coding practices. The sheathing is provided with a specially formulated PVC compound to facilitate not only ease in stripping but also to withstand mechanical abrasion while in use. These PVC compound used for insulation & sheathing have high oxygen & temperature index. These properties help in restricting the spread of fire even at high temperature. These cables are manufactured as per IS 694 : 1990, in sizes from 0.5 sq. mm. to 50 sq. mm. in single core & in size 0.5 sq. mm. to 4 sq. mm. up to 5 cores. These sizes carry the ISI mark & are duly approved by FIA/ TAC. 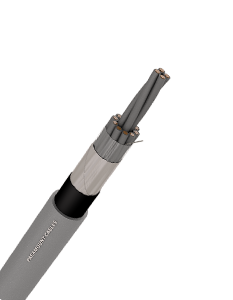 Paramount offers TUV Certified electron-beam cross-linked solar cable. This cross- linking significantly improves thermal, mechanical and chemical properties of the polymer. 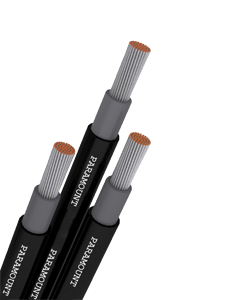 Paramount offers TUV Certified electron- beam cross-linked solar cable. E- Beam irradiation is a process in which the polymer is exposed to a highly charged steam of electrons that creates cross- linking between the molecules. This cross- linking significantly improves thermal, mechanical and chemical properties of the polymer. Solid or stranded, circular annealed, bare or tinned copper wire of 1.5 sq. mm, 2.5 sq. mm, 4.0 sq. mm. Fully colour coded cores using PVC. 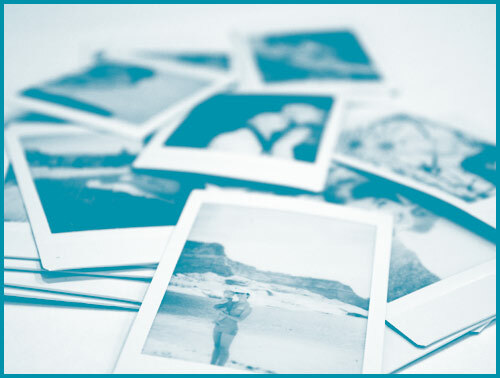 Core identification by printed characters is also available on order. The three primary colour pigments are magenta (red), yellow, and cyan (blue). Screening by Copper Wire Braid, Aluminium Mylar tape or Aluminium Wire. Drain wire of solid or stranded, bare or tinned copper wire are normally provided. Galvanized steel wire, strip or double helical steel tape armour. These cables are used for power supply to the control circuits. Cables are manufactured as per IS, BS & IEC standards as per the requirement of customers. Core identification by colour coding or by number printing, cores stranded and covered with extruded PVC layer, galvanized steel wire or strip armoured. PVC black or as required. 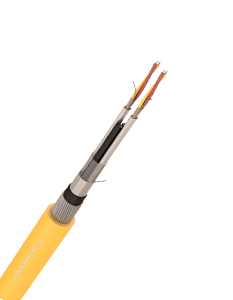 In case of unarmoured type cables, overall sheath is provided on inner sheath. Instrumentation cables come with or without flame retardant properties and are suitable in process control, A/D converters and other modern microprocessor based instrumentation circuits. Instrumentation cables come with or without flame retardant properties and are suitable in process control, A/D converters and other modern microprocessor based instrumentation circuits. These cables are designed to offer excellent resistance to noise and induction phenomena encountered in instrumentation circuits. Voltage grade 650/ 1100 Volts (Uo/U). Conforming to standard specifications such as IS: 5608 (Parts I, II, III), BS 5308 (Part I), BS 1584 (Parts I, II, III), IEC 189-5 (Part III), BS 6360, BS 5099 (Part II). Multi-core, multi-pair or multi-quad laid up concentrically or in units. Solid or stranded, tinned, bare or silver-plated annealed, high conductivity EC grade copper, sizes ranging from 0.5 sq. mm to 2.5 sq. mm. PVC, Solid PE or special thermoplastic materials, heat resistant PVC with an operating temperature range of 85ºC to 105ºC. Halogen free polymeric or elastomeric insulation may also be provided. Core identification through colour coding or character printing. Pairs or Quads can be individually or collectively screened or both. Screening with Copper or Aluminium Mylar Tape, Copper Wire or Aluminum Wire. Drain Wire of solid or stranded, bare or tinned copper wire normally provided with both individual and overall screening. Cables can be armoured with galvanized steel wires and strips or double helical steel tape. PVC of Black or Grey colour. Heat Resistant, FRLS PVC Sheathing, Halogen Free Polymeric or Elastomeric sheathing also available. Communication Pairs, Bicolor Extrusion, Band marking can be provided on request. Designed to combat all the basic types of noise which affect process instrument signals namely static, magnetic disturbance, manmade noise and cross-talk. 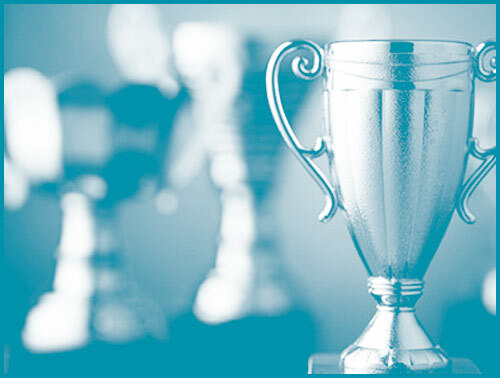 Reference specifications for testing are IS: 10810, ASTMD2863, ASTMD2843, IEC-754(I), VDE 0815, VDE 0207 (PT5), IEE383, SS-424-14-75 (F3), VDE0207 (Part IV), VDE0472, IEEE Transit No.467 and as per customer's requirement. Single or Multiple Pairs, usually upto 24 pairs. Higher pairs on customer request. As per Cable Codes KX, KK (A), JX, TX, EX, SX/RX, BX. 16, 18 & 20 AWG, other conductor sizes on request. Individual or overall Aluminium Mylar tape screened with ATC Drain wire. 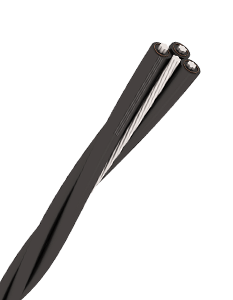 For easy removal of sheath. GI, Round Wire or Flat Strips. PVC, PVC HR, PVC FRLS or PVC FR. Continuous working temperature range of up to 260°C (500°F) and higher temperatures can be sustained, Melting Point 327°C. Non-stick properties, extremely stable and nonflammable; clean, dry, non-oily, non-staining & flexible. The material is biologically inert and does not support biological growth. They are highly resistant to harsh environments and the insulation is known to be practically aging free even at elevated temperatures and when exposed to chemicals, sunlight etc. Thermocouple, Extension wires & sensor leads. Fiber to the home (FTTH), is the installation and use of optical fiber from a central point directly to individual buildings such as residences, apartment buildings and businesses to provide extraordinary high-speed Internet access. FTTH dramatically increases the connection speeds available to computer users compared with technologies now used in most places. Paramount Jumper Wire, which is high in demand across the globe. Jumper Wire is actually a tinned copper conductor with 0.5 mm diameter PVC Insulation Cover. Obtainable in safe packaging and reasonable prices, clients have been Jumper Wire. 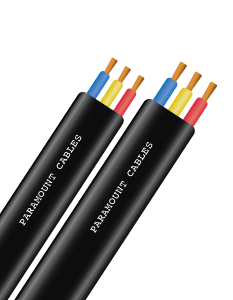 Paramount offers switchboard cables that combine innovative design and application engineering to deliver cabling solutions that don’t just meet your network’s physical layer requirements, they exceed them. Further, these cables comes in variety of popular pair configurations, from 2- to 200-pair.Our clients can avail these cables at very reasonable prices. These cables are used for indoor installation for the interconnection of telephones, telegraph & electronic equipment's. 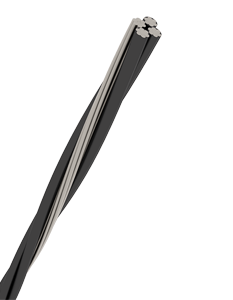 Pairs: Insulated conductors twisted into pairs with varying lays to minimize crosstalk. Standard color code is per BEZEQ 0074 (Synergy Cables color code 11). Other codes are available. Cable Core Assembly: Cables with 100 pairs or less are laid up in concentric layers; cables with over 100 pairs are composed of 25 or 50-pair units. 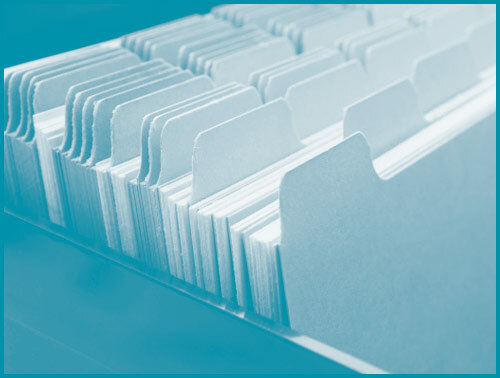 Units are identified by color coded binders. Core Covering / shield: Either a non-hygroscopic dielectric tape or an aluminum-polyester foil shield fully enclosing the core with an overlap. In shielded cables a solid tinned copper drain wire is laid under the shield forming electrical contact with the shield. Jacket: PVC or a Halogen-Free Flame Retardant compound. Gray or Cream colors are standard. Solid annealed bare copper wire of 0.63mm. Solid polyethylene, fully colour coded. Four insulated conductors twisted into a star quad. Extruded PVC to fit closely over the star quad. Double sided plastic coated aluminium tape with smooth, nominal thickness of 0.20mm. Solid, annealed bare or tinned copper wire of 0.4, 0.5, 0.6, 0.7 or 0.9mm. Other sizes on order Insulation PVC, Solid Polyethylene or Nylon. 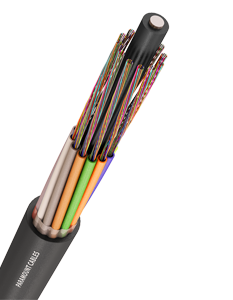 Single coloured conductors have fully colour-coded insulation. 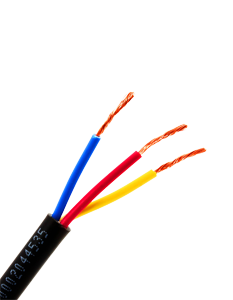 Bi-coloured conductors have coloured rings printed on the coloured insulation. Components are assembled in concentric layers or in units for higher pair sizes. One or more plastic tapes. Pairs, triads or quads can be individually or collectively screened or both. Screening with Copper or Aluminium Mylar Tapes with a minimum 30% overlap. If required, solid tinned copper wire of 0.5 mm. Mining and Airfield lighting cables.